Almost all visitors to Russia’s capital will have heard of the amazing beauty that is Moscow’s metro. It is widely regarded as the capital’s cheapest and largest museum that also happens to transport up to 9 million passengers daily. Volumes and volumes have been written about the metro’s history and its architectural splendor but few have heard about Moscow’s other underground sites, such as “Metro 2”, a centuries-old tunnel under the Kremlin or even a secret city for illegal immigrants. 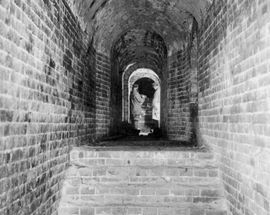 Back in the summer of 1933, two young men discovered an entrance to a centuries-old underground tunnel within sight of the red Kremlin walls. Lighting their way with a lantern as they crept through the tunnel, the men firmly believed that they were on their way to discovering Ivan the Terrible's legendary library of gold-covered books. Instead they found 5 skeletons, a passageway big enough for the men to squeeze through only one at a time and a rusted steel door they were unable to open. Unfortunately, the men would have to wait 55 years before they could tell even their family of this amazing discovery because this a story Joseph Stalin, the Soviet leader of the time, wanted no one to know as he reportedly feared a coup attempt literally from below. Only after Mikhail Gorbachev came to power could one of the young men who was still alive, retired engineer Apollos Ivanov, tell his story. Many of the tunnels are believed to have been built in the time of Prince Dmitry Donskoy, who ruled Moscow for 30 years beginning in 1359 and managed briefly to overthrow the Tatars. 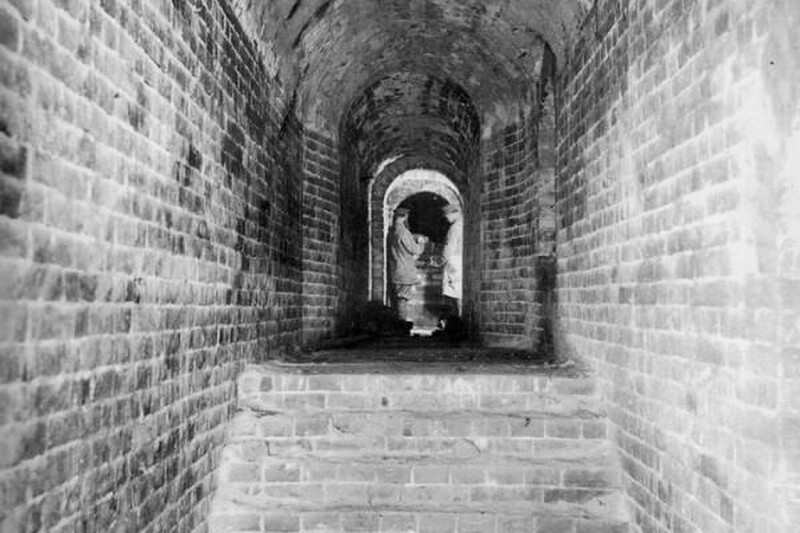 The underground pathways served as a link to the outside (and were later designated by the Soviet authorities as an escape route if the Kremlin were besieged). As time passed, Russian Orthodox patriarchs also dug tunnels and connected them with the Donskoy tunnels so that the patriarchs could flee to the walled fortress of the Kremlin in case of invasion. Historians also believe that Ivan the Terrible hid an arsenal of weapons in the tunnels. Some of the guns were discovered in 1978 when Soviet workers were expanding a subway station. In addition to this, many of these historians also claim that the 16th century ruler hid his famous library of gold-covered books underground. Although the existence of the library is first mentioned in documents from the period of Peter the Great's rule (which began in 1682), the library itself has reportedly never been found. A lot that is “known” about Moscow’s “Metro 2” is actually not known but rather speculated, as it is still (most likely) a top secret project run by the Ministry of Defense. “Metro 2” is the informal name for a purported secret underground metro system which parallels the public Moscow Metro. The system was supposedly built, or at least started, during the time of Joseph Stalin and was codenamed D-6 by the KGB. The length of “Metro 2” is rumored to exceed that of the public Metro. It is said to have four lines, lie 50–200 meters deep and connect the Kremlin with the Federal Security Service (FSB) headquarters, the government airport at Vnukovo-2 and an underground town at Ramenki, in addition to other locations of national importance. 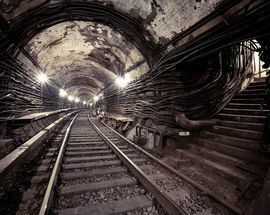 In 1994, the leader of an urban exploration group, the Diggers of the Underground Planet, claimed to have found an entrance to this underground system. Russian journalists have reported that the existence of “Metro 2” is neither confirmed nor denied by the FSB (Federal Security Service) or the Moscow Metro administration. 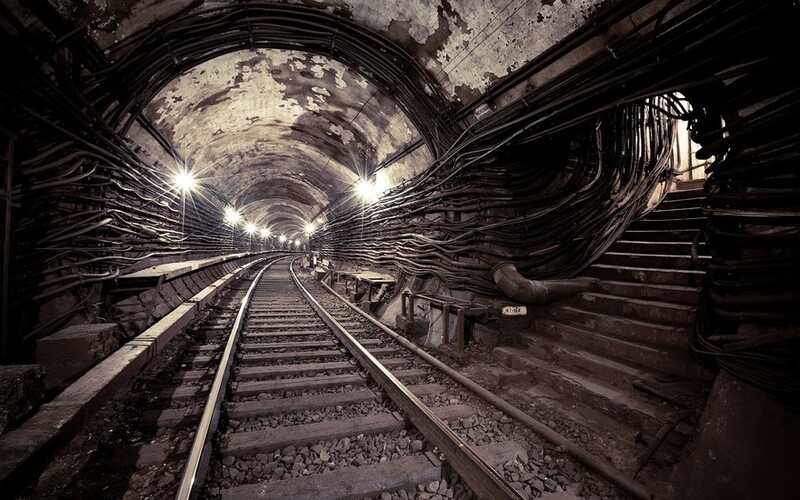 During the years since the collapse of the Soviet Union, several officials have come forward and confirmed that there is, indeed, an extensive network of tunnels and an emergency command center in case of war. So is it real? That we cannot say for sure, although with all the evidence available the existence of Moscow’s “Metro 2” is certainly very plausible. In May, 2013 Moscow’s police raided a secret underground city full of subways, a sewing factory, living quarters, a café, cinema and even a chicken coop. The discovery was made by police and agents from the FSB security agency and Federal Migration Service. The “underground town” was built in a bomb shelter from the Soviet-era in the west of the city of Moscow. When police made their raid, they discovered a vast complex that included 122 sewing machines. Reports described how those living in the subterranean town were producing needles and blades for sewing machines. As well as a sewing factory providing round-the-clock work for illegal immigrants, police found a cinema, a poker room and another room designed like a Turkish café, together with an oven and a brazier. More than 200 illegal immigrants from Central Asia were found living in the secret living quarters. 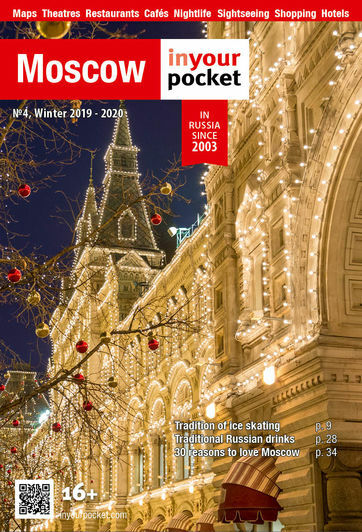 Although there is still a huge cloud of mystery surrounding the whole notion of Moscow’s other underground, several tour operators offer visitors a chance to take a glimpse of the world underneath Moscow. 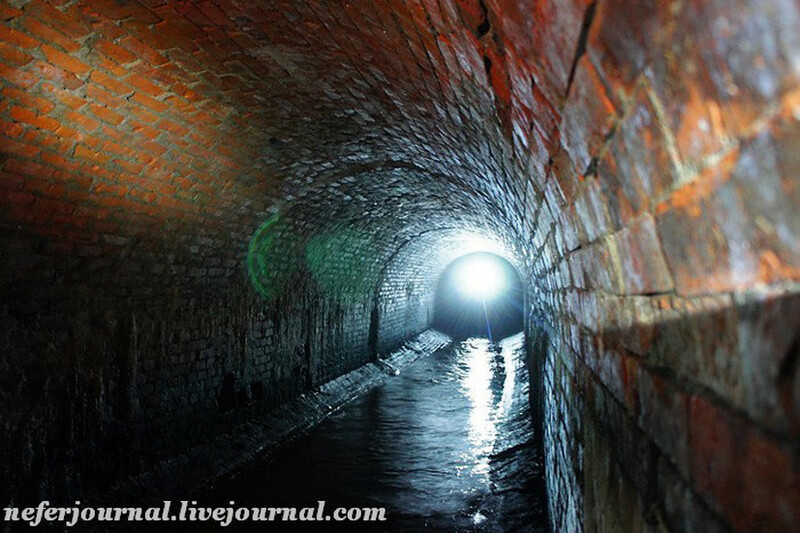 The Neglinnaya River, also known as Neglinka, is a 7.5-km long underground river in the central part of Moscow and a tributary of the Moscow River. 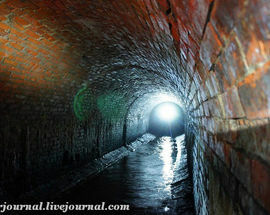 It flows in the tunnels under Samotechnaya Street, Tsvetnoy Boulevard, Neglinnaya Street and Alexander Garden and Zaryadye. 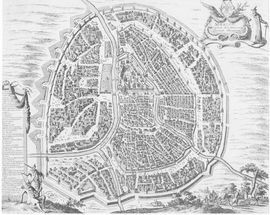 It is as ancient as the capital itself with the first references to this river in old chronicles coinciding with the first mentions of Moscow. Several companies offer tours along parts of the river, which is considered one of the most mystical places in Moscow (some visitors claim to have seen ghosts in the tunnel!). Then there are the Syani stone mines, an artificial cave system where limestone was excavated for the city building. As with most of Moscow’s mysterious underground sites, nobody knows the exact date the development work began. 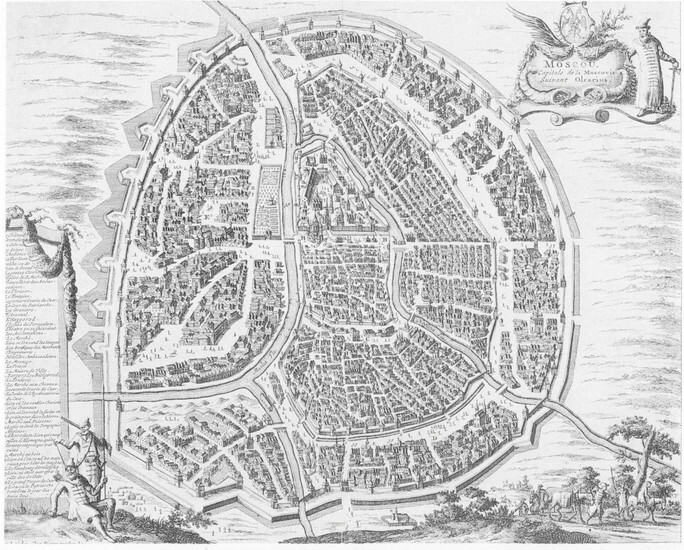 Some estimate that they began to be exploited in the 17th century. Then, during the Soviet period, stones were excavated here to reinforce airplane runways; during World War II a military hospital and later on a seismic station were located here. Joseph Stalin certainly left a mark on Moscow, both overground and underground. Everyone knows of his most famous underground achievement - the glorious Moscow metro. But the subterranean space of Moscow is also home to his bunker, a much less known site underneath the capital. Stalin’s Bunker is located near Izmailovskaya metro station and its construction dates back to the 1930s. As it was planned as the reserve headquarters of the Supreme Commander of the Soviet Union, it was connected to the Kremlin by a 17-kilometer underground tunnel. As a military object for the personal use of the Supreme Commander-in-Chief, it required unprecedented in the Soviet Union measures of secrecy. The Bunker was not widely used before 1941, not until the outbreak of the Second World War on the territory of the USSR. Then it was visited several times by Stalin before the counteroffensive of the Red Army began on December 5, 1941. Historians maintain that Stalin never visited it again. In 1996 the bunker was turned into a museum and opened its heavy doors to visitors. The bunker itself is relatively small with only the most essential spaces: a conference room, an office, a room for rest, the generals’ office, supply rooms and a refectory. In fact, there are two bunkers in Moscow. The other one is Bunker 42 (also known as the Cold War Museum Moscow), constructed next to Taganskaya metro station some 20 years later at the height of the Cold War. Its entrance is camouflaged by an ordinary 19th-century house with its walls hiding a six-meter thick cement cap. The bunker itself is located at a depth of 65 meters - or the equivalent of 17-18 floors below ground - at the same level as the circle metro line. So close to the metro, there are not only adjoining tunnels but carriages rattling past fill the concrete passageways with a whole lot of groaning noisy sounds. Decommissioned and sold off at an auction, this ex-military communications post is now a museum dedicated to the Cold War. Complete with KGB rooms (now rehearsal space for heavy metal bands), raid sirens, and kilometres of tunnels, this is the real-deal experience. Guides play the role of KGB officers and the exhibits are all very hands-on. Not recommended for claustrophobes, but definitely for the curious and historically inquisitive. The bunker is also available to hire for functions, such as conferences or team-building role play games with lasers and paint balling, etc.